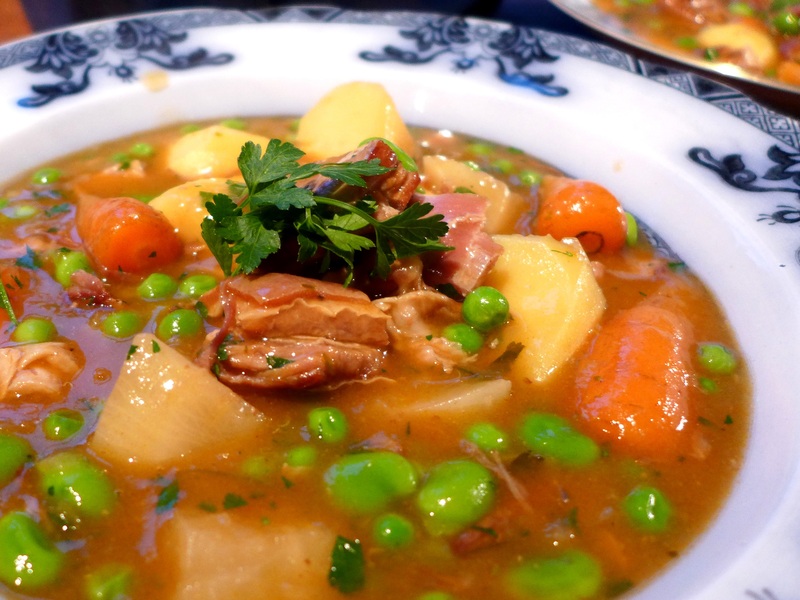 Navarin of lamb is a rustic French recipe and although it is a stew it’s light in flavour, packed full of fresh spring veg and given a further lift by the last minute addition of a fistful of herbs. It’s a one-pot dish too, saving on the washing up, always a bonus in my view. It’s not a classic for nothing: this one is a keeper. Breast of lamb, or lamb belly as everyone seems to call it these days, is a really cheap cut and like most cheap cuts it benefits from long, slow cooking. A lot of people are put off by its fattiness, but cook it this way and it’ll be meltingly tender and not at all greasy. You can use neck chops instead of the belly if you prefer, or a combination, and ring the changes on the vegetables according to taste and availability. Trim the lamb of as much skin and fat as you can and cut it into 3-4 cm squares. Drizzle the base of a large cast-iron casserole with a small amount of oil, place on a moderate heat, and add the lamb. Cook with a lid partially on for about 30 minutes, turning from time to time, until the meat is brown all over and has released much of its fat. 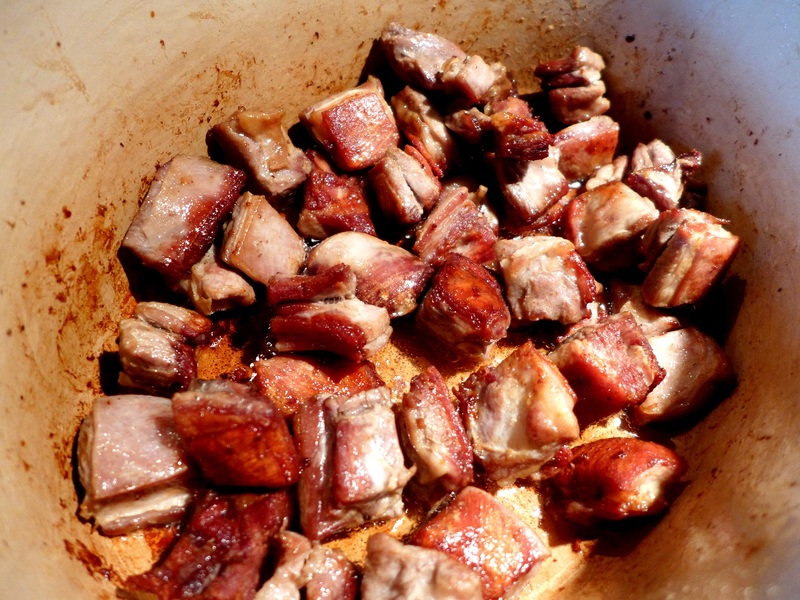 Remove the meat to a plate with a slotted spoon, drain off and discard the fat and put the meat back in the pan. Scrape the meat back to make a space and add the tomato purée, cooking it off for a minute to remove any bitterness. Scatter the flour into the pan, stir it in and cook for a minute or two more. Add the chopped onions and celery, the bouquet garni and the garlic. Pour in the wine and let it sizzle up, stirring, then add the stock and season with salt and pepper. Bring to a boil, then cover and cook either in an oven at 180C or at a gentle simmer on the hob, for an hour to an hour and forty-five minutes (it really depends on how hard your lamb worked those muscles) or until the meat is tender. 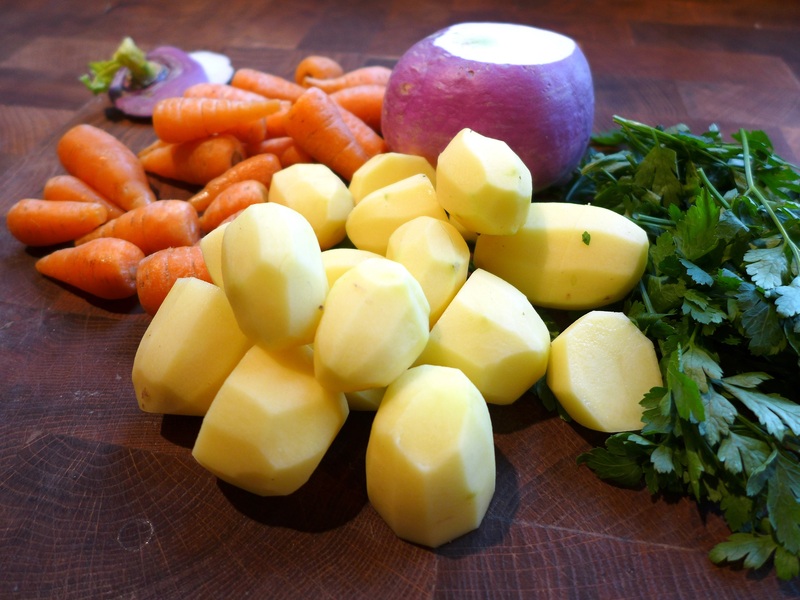 Add the new potatoes, carrots and turnips and continue to simmer for about 20-25 minutes or until tender, then add the peas and beans and cook for another five minutes. 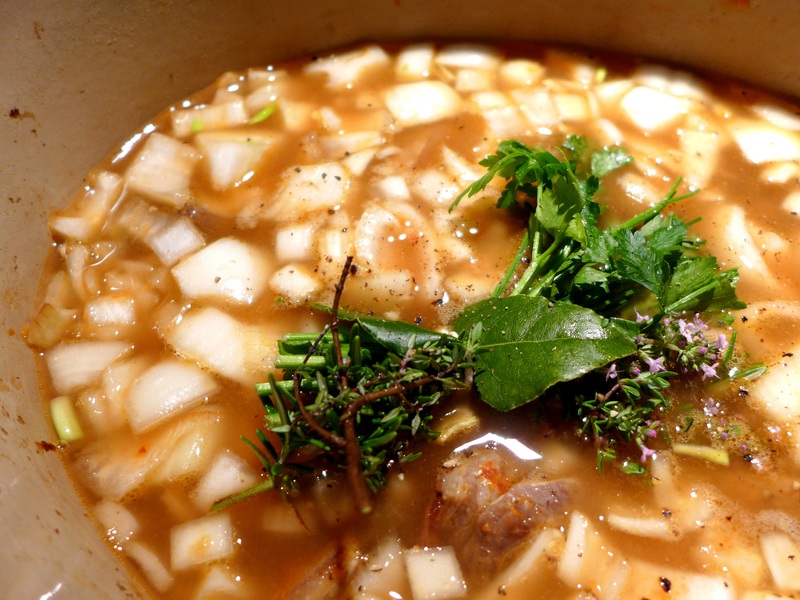 Stir through the chopped herbs, check the seasoning and serve, garnished with a sprig or two of parsley. 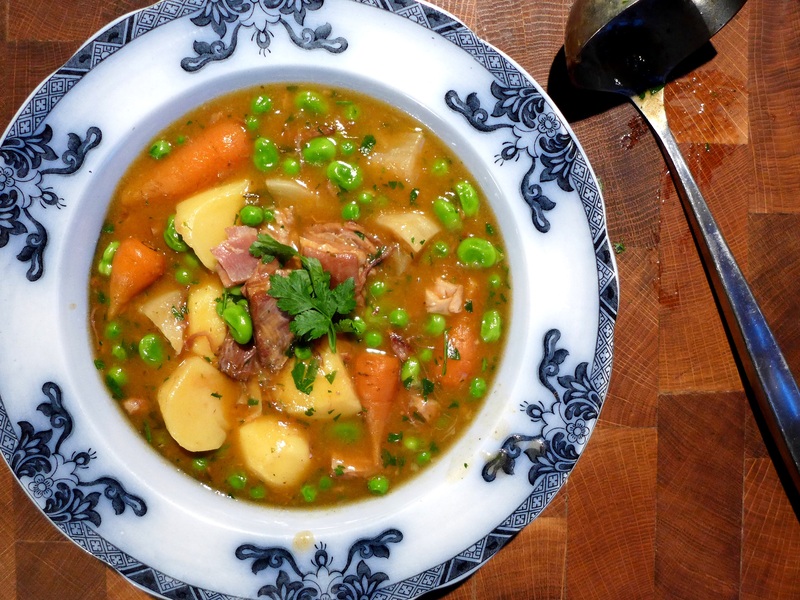 This entry was posted in Lamb and kid, Mains and tagged breast oflamb, cheap cuts, lamb belly, lamb navarin, navarin of lamb, spring vegetable and lamb stew by Linda Duffin. Bookmark the permalink. Delicious. Lamb is underrated. It has a bad rep for greasiness. It doesn’t deserve that. Sounds like mine on the subject of pasta. My quite expensive pasta machine mostly languishes on a shelf. Can’t win ’em all. An excellent recipe. We tried it and it tastes even better on the second day – and probably the third as well. I like to cook a similar type of dish with a Middle Eastern twist: neck of lamb (also cheap but also melt in the mouth tender) with chickpeas, aubergine and Mediterranean spices.